Dr. Mitchell C. Benson began his affiliation with Columbia University College of Physicians and Surgeons in the Autumn of 1973 when he enrolled in Columbia P & S as a first year medical student. He recognized early in his training that he wished to pursue a career in Urology and following an internship and residency in general surgery at Mount Sinai Hospital in New York, he became a resident in Urology at The Presbyterian Hospital in New York in 1979. Following his chief residency in Urology at The Presbyterian Hospital, he went to Johns Hopkins Hospital and University where he was a Research Fellow in Urologic Oncology from 1982-1984. After completion of his fellowship, Dr. Benson returned to Columbia University P & S where he joined the Urology faculty. Dr. Benson was one of the first recipients of the Herbert Irving Assistant Professor awards and he was the Herbert Irving Assistant Professor of Urology from July 1988 - June 1991. He was then promoted to Associate Professor of Urology, and in July 1995 to Professor of Urology. In 1997, he was named the George F. Cahill Professor of Urology. In November 2003, he was named the Director of the Comprehensive Cancer Center of Columbia University. 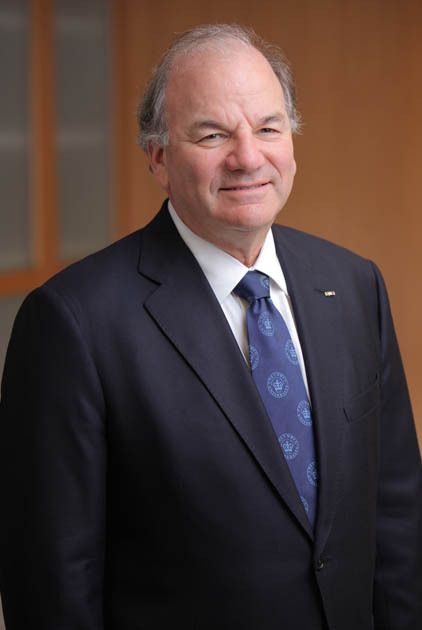 In August 2005, he was appointed The George F. Cahill Professor and Chairman of the Department of Urology and Urologist-in-Chief at Columbia University Medical Center. During his career, Dr. Benson has been the recipient of numerous Honors. After having been elected to Phi Beta Kappa at Union College, he was awarded the Urology Prize from Columbia University College of Physicians and Surgeons. During his residency, he was awarded 1st Prize at the New York Academy of Medicine in the Ferdinand C. Valentine Residents' Essay Contest. He has won prizes for his clinical research from the American Urological Association in 1987 and 1991. Dr. Benson's research has been and continues to be supported by the National Cancer Institute and he has participated in numerous projects sponsored by the pharmaceutical industry. He has submitted or published 195 scientific articles since 1984. He has presented more than 200 papers at National Meetings.